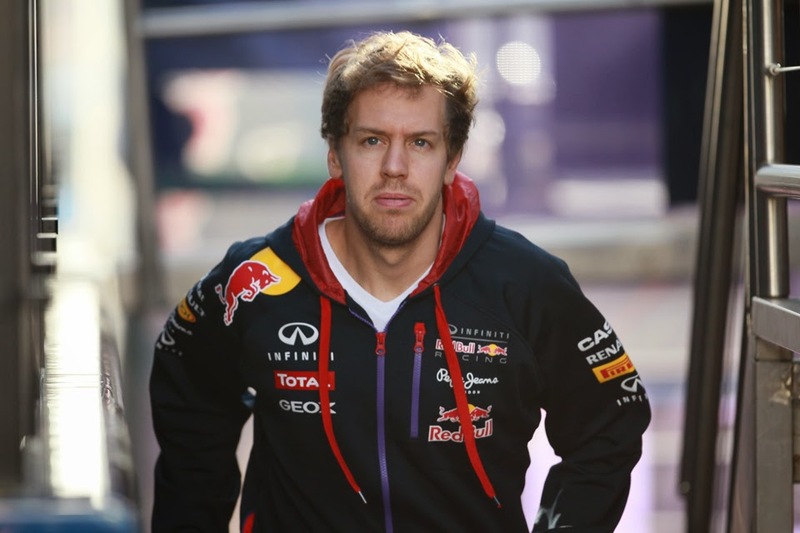 Talking about F1: The F1 blog: What's up with Vettel? Everyone else is doing it, so why can't I? Look at the matter of Sebastian Vettel I mean, and why the appearances so far in the 2014 campaign are that he is struggling. Moreover whether - despite everything - the opening four rounds of this said campaign are evidence that he's not all that after all. As you might imagine, social media and internet forums were also awash with such deliberation. Of course the tendency to believe that you're only as good as your last game isn't one exclusive to F1. And social media, which seems to rather cater for pendulum thinking, everything being opined as an extreme, appears highly fertile territory this sort of interpretation. But in F1 the tendency appears especially strong. Perhaps it reflects that F1, unlike most activities (and as intimated by Messrs Eason and Benson), is a measure of a combination of man and machine; definitive evidence of the driver's contribution, over and above that of their equipment, is next to impossible to come by. Therefore, possibly we view it as necessary to not discount any available evidence in forming our judgement. And in Seb's specific case this sort of thing has been particularly common, that even with his towering records the 'yeah, but what would he do in a car that was struggling?' question lingers in darkened corners. And it's all not just as a result of what might be termed the usual suspects on social media either; Fernando Alonso too said something to this effect towards the end of last season. Quite why this is is a moot point, though is likely related in part to some combination of Seb having access to a succession of very fine Red Bulls, enjoying apparently a golden-child status with his team as well as his not-exactly dazzling record in the junior formulae all contributing to something of an arriviste reputation that he's never yet been able fully to shake. As for me? I feel that such questioning of Seb's potency is way too premature. We all know the lines that are trotted out to question Seb's personal contribution to his repeated success. No doubt where we are now four races into the 2014 season is manna to such perpetrators. But the bottom line is that whatever the circumstances you don't become a multiple Formula One world champion, let alone a four-times Formula One world champion, without having rather a lot going for you. And for all of the focus on Seb's radio barbs in the Shanghai race, for one thing Seb was prone to these even in his days of waltzing to titles. For another, whether we like it or not we can take it also as evidence that none of what he's experiencing right now can be attributed to diminshing motivation on Vettel's part. We shouldn't overreact either. Even with Ricciardo qualifying ahead of the two, as well as finishing ahead on the road in the race, in three of the four rounds so far, only in the round just passed in China has Seb been beaten by Ricciardo fair and square. In Australia and Bahrain Seb had technical problems in both qualifying and the race that at least muddied the waters, while in Malaysia Seb was on top both on the Saturday and the Sunday. At least part of the explanation too is Daniel Ricicardo - Seb's one and only clear yardstick as his team mate - proving to be a lot better than just about any of us anticipated. The surprise element of this has added to the chafe. Most broadly of all is that all of the explanations mooted for Seb's tepid form, currently, are conjecture. None of us on the outside know what the problems are. And moreover I strongly suspect that none of those on the inside yet have their heads around the matter either. Certainly the words of Seb and his boss Christian Horner suggest as much. Seb has tended to talk in rather brutal terms of not doing well enough and needing to improve; Horner meanwhile has talked in non-specific terms of his charge not liking the 'feeling' and 'set-up' of his machine this year, but also in China added that 'it's difficult to explain why (Vettel is struggling) at the moment'. I was taken aback by Seb words on TV on Saturday in Shanghai too saying that 'there's a lot of things in my head' when it comes to the challenge of the 2014-spec cars, 'Formula 1 got very complex and I think as a driver I think we have lost a lot of features and given a lot to the engineers. So it's not that easy to understand and stay on top of everything' he went on. For years we've thought that Seb's brain capacity was a strength, indeed that perhaps it was unrivalled. Meanwhile, Helmut Marko has confirmed that Seb will have a new chassis in Barcelona 'because sometimes even a small hairline crack can have large consequences'. Note however, that there is no confirmation that the team has found a small hairline crack. All in, it rather smacks of an operation at the stage of desperately clawing for answers rather than having a grasp of what the problem is. The closest thing to a consensus on it all however is that with the effective passing of the exhaust blown diffuser, with the new turbo units having a single, central exhaust, and them having a weaker exhaust flow anyway, has punished Vettel especially. Vettel was considered widely as a master of driving to maximise the effect of this feature, with a style - of aiming a car into a corner with deliberate oversteer, but negating the otherwise likely spin with blasts on the throttle to 'energise' his diffuser and thus increase the rear-end grip - built around it probably more than anyone else's. Of course, it helped too that in a succession of Red Bulls he had access to the best exhaust blown diffuser, as well as had a team mate in Mark Webber who never was to master that sort of counter-intuitive approach. And we had evidence of this in early 2012 when the exhaust effect briefly was gone, after an attempt to outlaw it proved effective for roughly the first half of the year, and in that time there was little to choose between Vettel and Webber. Indeed after the Silverstone round that year Webber led the two in the points table as well as was up five to four in the qualifying match-up. 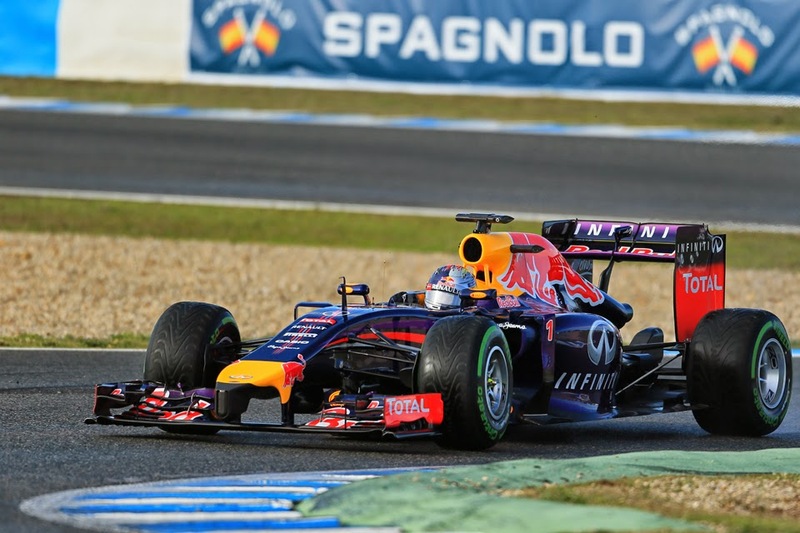 Can Vettel adapt to the requirements of the 2014 car? The big question now is whether in this time Seb lucked into a style that let him exploit by far the best car, helped by a team mate who couldn't ape it, or whether Seb analysed what style would be most beneficial within the conditions that prevailed and was able to put it into practice to a devastating effect. If it's the latter - and much of what we know about Seb more broadly suggests it's more likely - then there is no reason why he cannot find the style that will be most beneficial this time too. And if it's any comfort to Seb then relatively recent history shows that such a period of adaptation can be required of the best of them. Even Alonso, widely touted as the contemporary sport's most adaptable performer, had some of this in 2007 in his infamous solitary McLaren campaign, when he found himself in a situation wherein altering his style to the Bridgestone tyres, having spent years on the Michelins, as well as to the McLaren's brakes, was not the work of a moment. Just as with Seb now he had to do this while facing a very public comparison with a rapid young team mate performing way above even the most optimistic expectations in advance. And while you can say in both situations that what they faced was the same as their young stable mates, crucially in both situations their young stable mates had less to unlearn. Perhaps too they had the fortune of finding matters suited them pretty much straight away. At least too, so far Seb's showing little sign outwardly of responding in a fashion that one way or another contributed to a feeling of mutual alienation with his team as Alonso did in his infamous 2007 annus horribilis. Even on the radio on the slowing down lap after the China race Horner was full of consolation and reassurance to 'Sebbie', and after Seb said 'it'll take time but we'll get there' Horner commended his attitude. The bond yet seems strong. 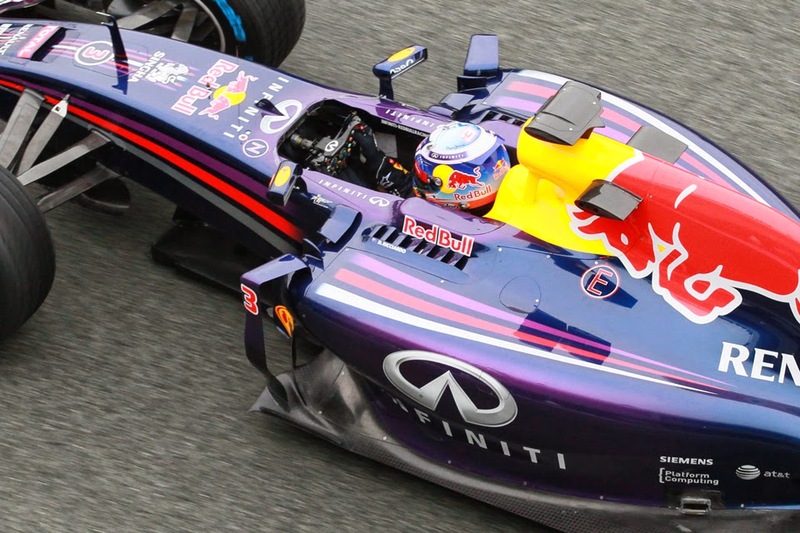 The next challenge for Seb is to adapt to get the most out of the current breed of F1 car. And - while it seems strange to talk of a four-time world champion of having to prove himself, but the considerations outlined earlier in this article ensure that this is so - if he does adapt successfully he will then prove a great many of the doubters wrong. He now needs to show that he can.